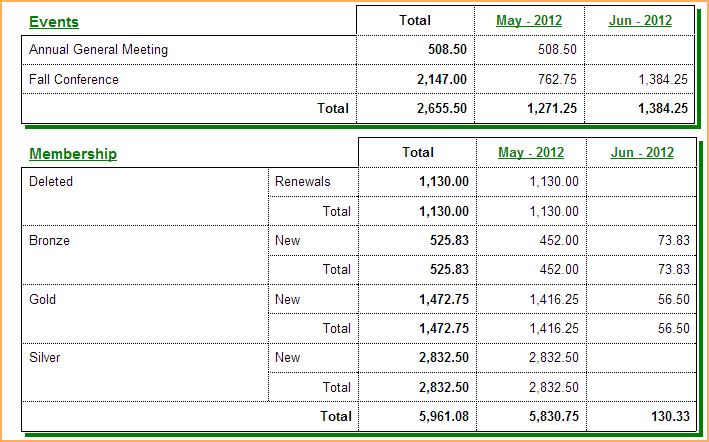 ...followed by a breakdown of income from memberships and events. 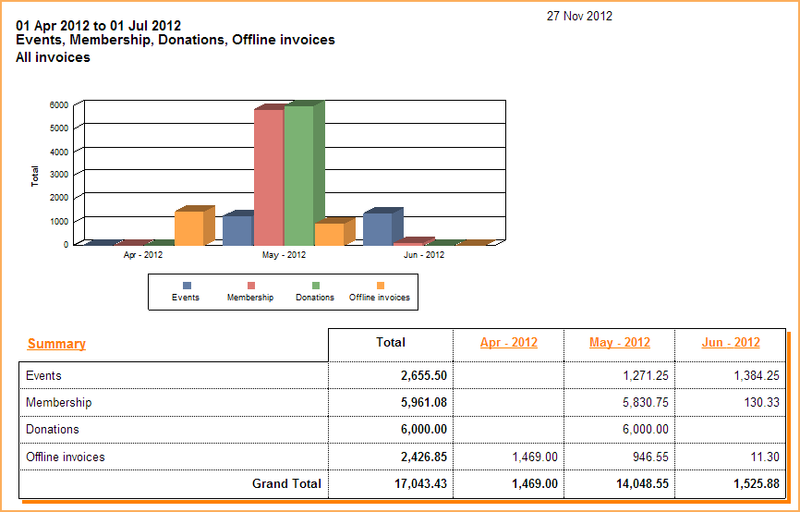 Hover over the Finances menu and select the Reports option. Select the date range – when the income was recorded or received. Select the invoice/payment type(s) you are interested in. You can filter the report by invoice origin – events, membership, donations, store orders, or manually created invoices – or by payment status – fully paid, partially paid or unpaid.